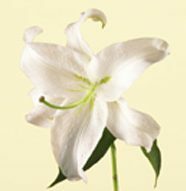 Flower Glossary - Bunches Flower Co. - Want to know more about flowers? 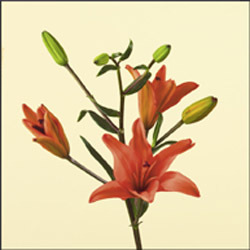 A long-lasting member of the lily family, especially loved for the intricately detailed blossoms. Best season: March through September. Pinch back finished blooms to promote bud development and avoid excessive shedding. 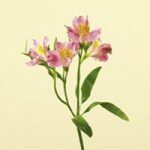 Colourful, delicate bloom are surprisingly long-lasting. 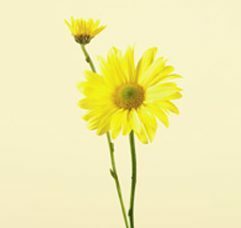 Care notes: Display flowers in cool light, not direct sunlight. Typical Availability: Year round, with seasonal fluctuations. 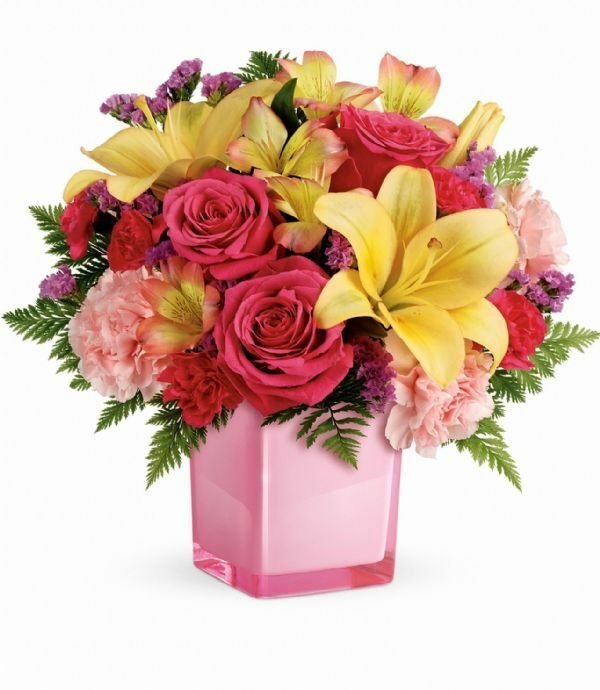 Glossy tropical blooms come in shades of red, pink,coral, and white. 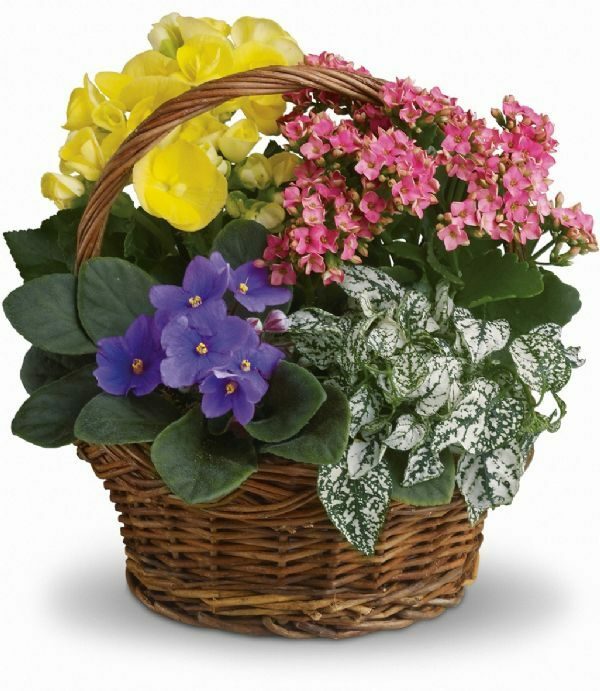 Care Notes: Display flowers in warm, humid areas, away from cold drafts. 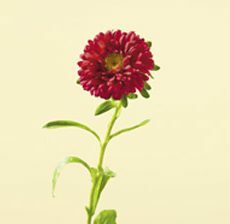 A lively filler flower available in purple, red, pink, and white. 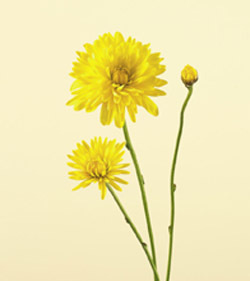 Care notes: Display flowers in cool light, away from heat and direct sunlight. 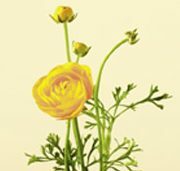 A dainty long-lasting filler that makes a a pretty accent in any bouquet. 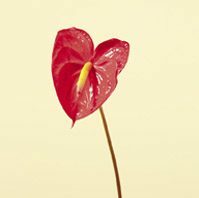 A dramatic flower from the tropics can be effective with accenting flowers and exotic foliage. A hardy, traditional favorite, available in a rainbow of colours. Appreciated for its long-lasting quality. Care notes: Re-cut stems and refresh water after 5 days. Display flowers in cool light, away from heat and direct sunlight. Clusters of colourful, long-lasting blossoms on each stem. Typical Availability: Year round, varieties fluctuate. 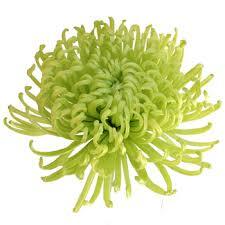 Compact, long-lasting blossoms available in many colours. 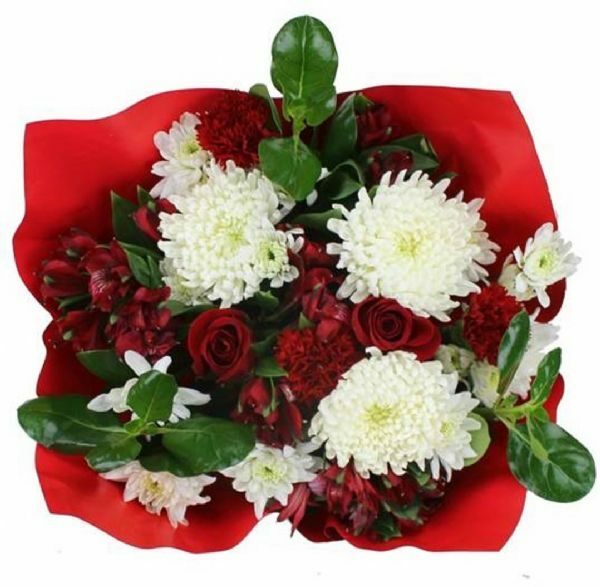 An excellent filler that adds body and colour to any bouquet. 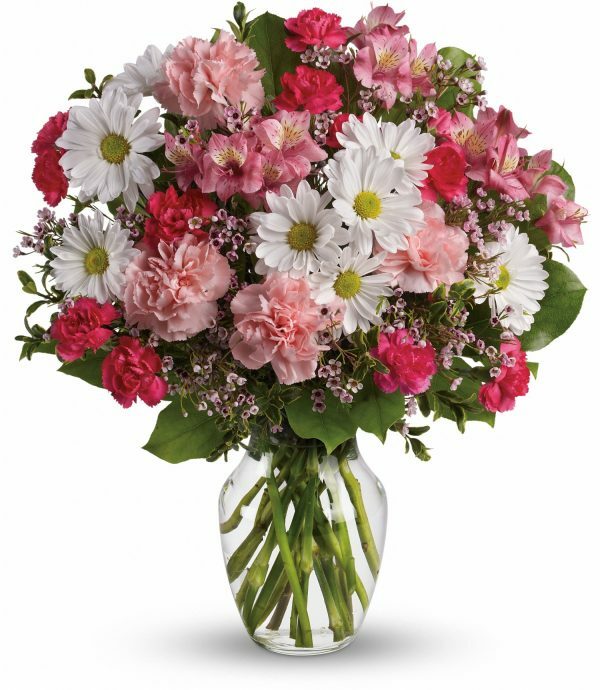 A spray of larger mum blooms add mass and fullness to bouquets. Long-lasting blooms. 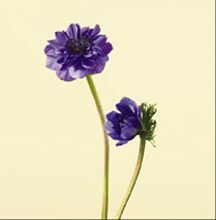 Fresh, perky blooms, available in many colours and shapes, have the lively look of a spring meadow. New hybrids bring interesting shapes and colours to a traditional favorite. 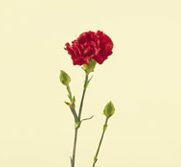 The velvety texture and interesting shape of this flower gives any bouquet a dramatic flair. 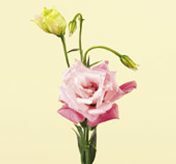 Care notes: Do not mix with other flowers without pre-soaking stems. Place in cool water. Delicate, colourful stalks bring the look of a soft, summer garden. Blue/mauve/white tones. 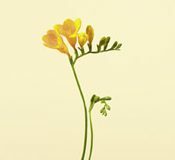 Care notes: Remove finished blossoms from bottom of stem, as blooms open from the bottom up. Display flowers in cool light, away from heat and direct sunlight. Massive stalks are perfect for a showy, tall vase. 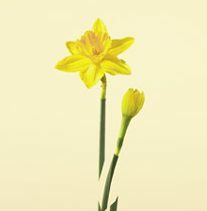 Care notes: Remove finished blossoms from bottom of the stem, as blooms open from the bottom up. Display flowers in cool light, away from heat and direct sunlight. 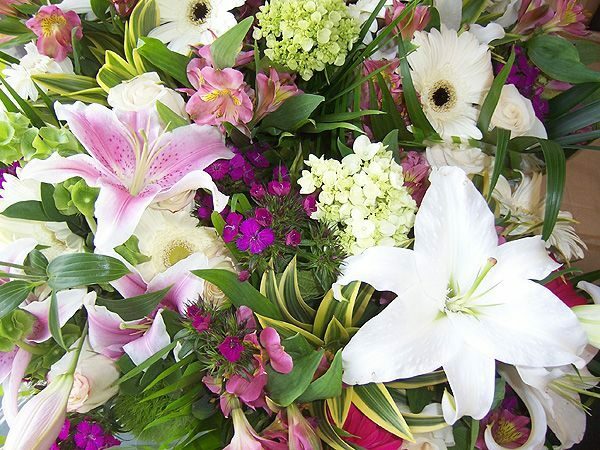 Large, showy, long-lasting flower adds fullness to any bouquet. Great for any occasion! Typical Availability: Feb-May is the best season. Dainty blooms with a wonderful fragrance! 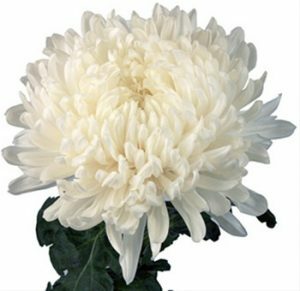 Large, showy mums have a fantastic starburst shape, long-lasting too! 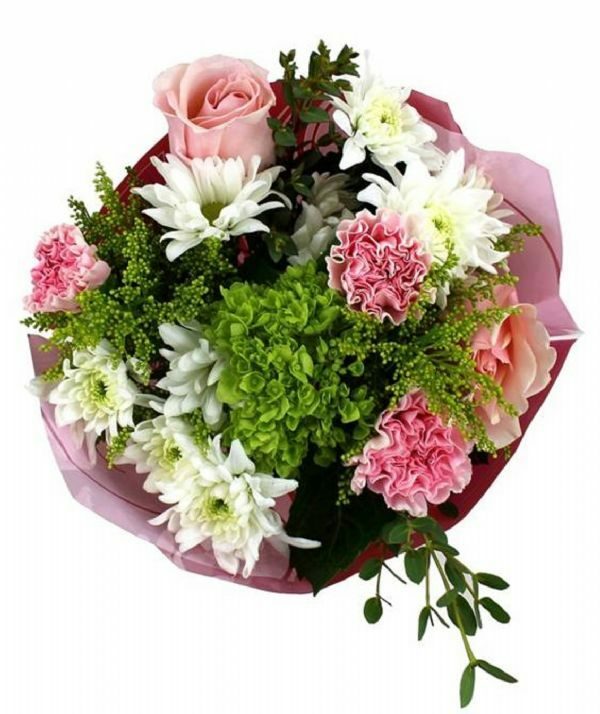 Large cheerful flower faces grow in a rainbow of pastel and saturated colours. 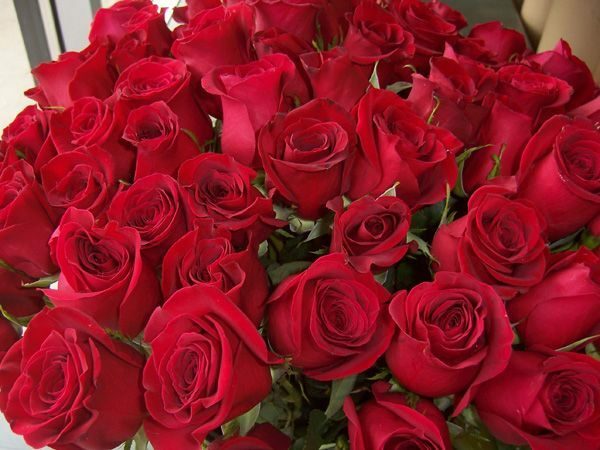 Care notes: Keep water level low, approx 10cm, as soft stems should not be completely submerged. Display flowers in cool light, away from heat and direct sunlight. 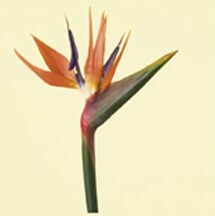 A large substantial blossom gives a tropical flavour to any bouquet. Usually available in red or pink. Care notes: Display flowers in warm, humid area, away from cool drafts. A tall, showy treat. Great for large arrangements and tall vases. 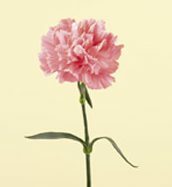 A dainty long-lasting filler flower makes a great accent in any bouquet. A delightful Highland accent in springtime. A favourite in wedding bouquets. 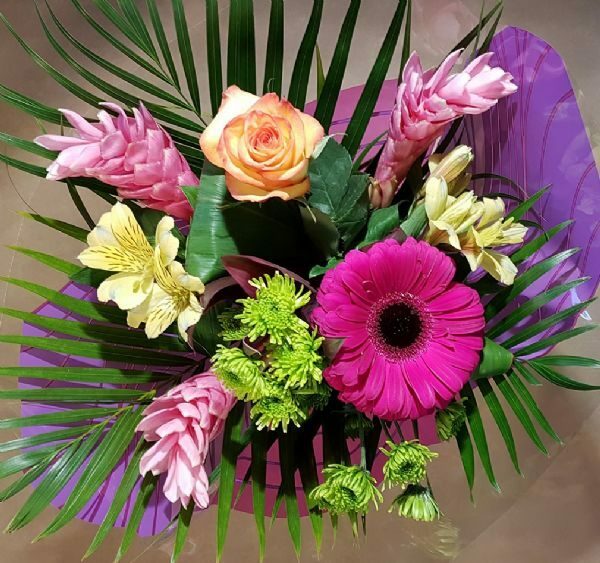 Magnificent tropical bloom, ranging 20-40cm in length, creates the ultimate focal point for any exotic bouquet. Care notes: Display flowers in warm humid areas, away from cool drafts. Admired for rich fragrance and soft pastel shades. 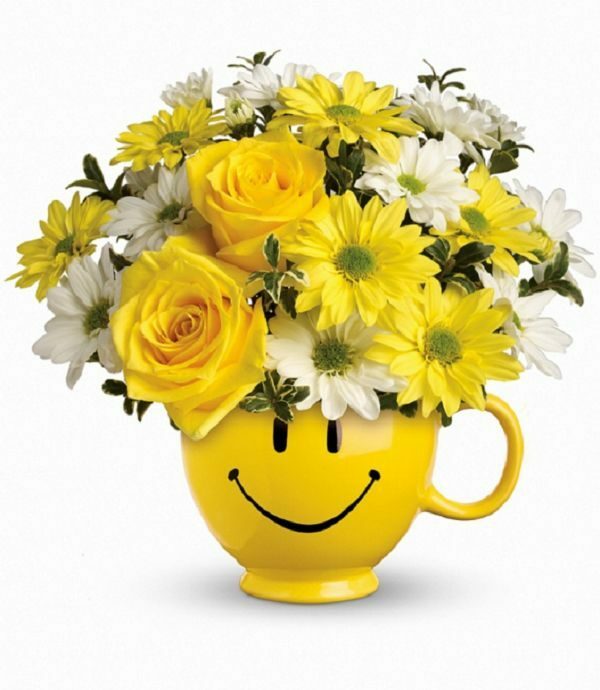 Care notes: Use cool water, display flowers in cool light, away from heat and direct sunlight. Typical Availability: Year round with seasonal fluctuations in shape, size, and price. Massive, lush blooms can be enjoyed as a dried flower, too. Care notes: Carefully re-cut stems and start in warm water. 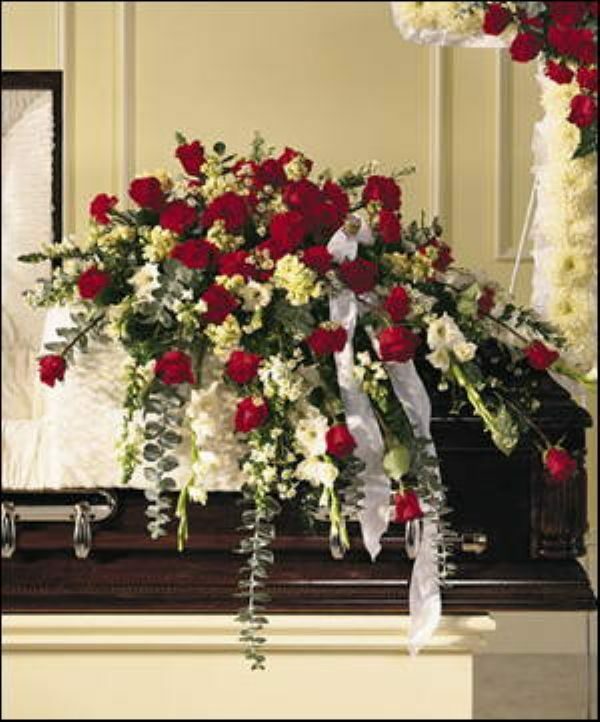 If flowers wilt, re-cut and use very warm, fresh water. Display flowers in cool light, away from heat and direct sunlight. Shiny berries grow on a tall stem. Great for adding texture. Delicate blooms bring the essence of springtime. Care notes: Place flowers into cool water. Display flowers in cool light, away from heat and direct sunlight. Interesting texture and detail. 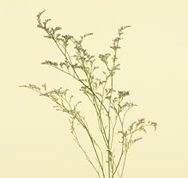 Stems retain their shape and colour when dried. 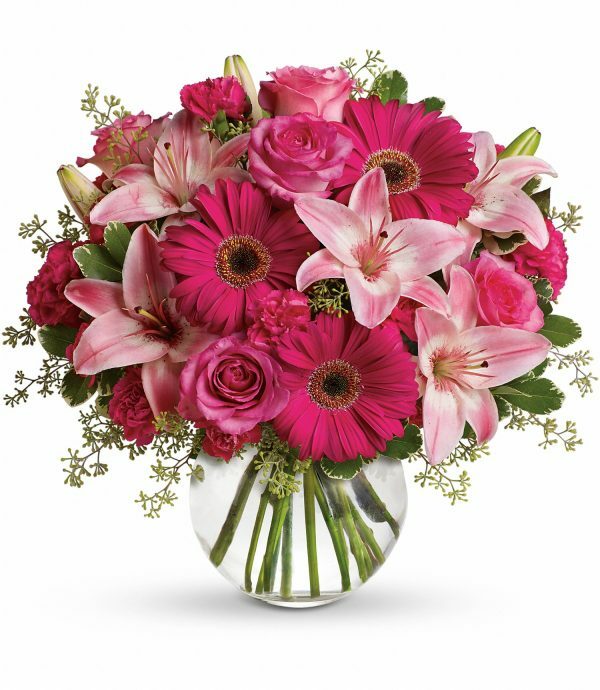 Care notes: Give blooms lots of space in the arrangement. 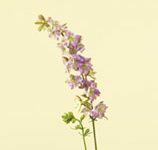 Dainty, delicate blooms add a touch of summer softness in shades of purple, pink, and white. Tiny blossoms on a woody branch give a natural texture. 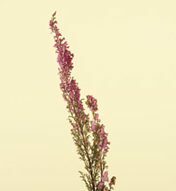 Tall stems available in purple and sometimes white. 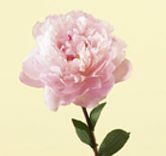 Care notes: Pinch off top blooms as they finish. Blossoms open from the top down. 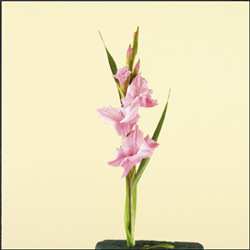 Showy, multi-blooms stems available in variety of colours and shapes. Care notes: Pinch finished blooms to promote bud development. Display flowers in cool light, away from heat and direct sunlight. Huge white blossoms make a gorgeous show with accenting foliage. Typical Availability: Year round with seasonal fluctuations in size and price. Popular for large blossom size and heady frangrance. 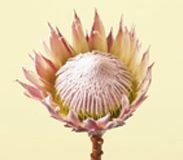 Care notes: Remove finished blossoms to promote bud development. Display flowers in cool light, away from heat and direct sunlight. 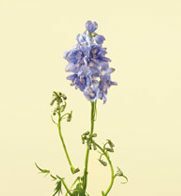 Airy filler flower can be used as a dried flower as well. Care notes: Re-cut stems and refresh water after 5 days. 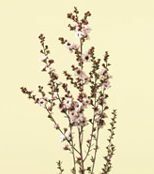 Becoming very popular for its soft blossoms and gentle curves. 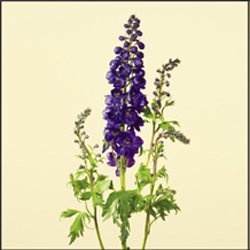 Long-lasting and classic blooms are very versatile. 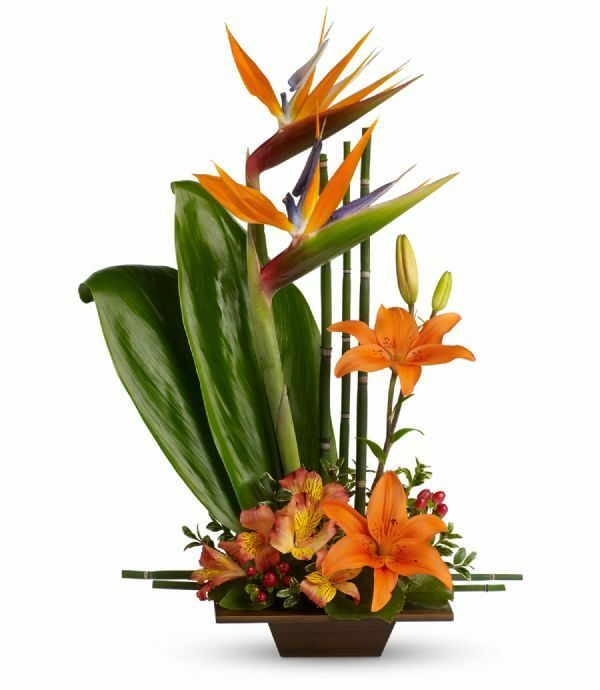 Great for a tropical flair, or elegant display. Perfect for wedding work. 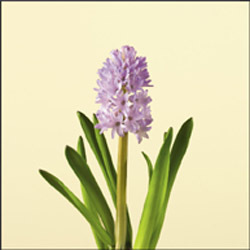 Dainty strings of white, purple, green, or blue orchids have a graceful curve. Soft and fluffy with a light, sweet fragrance. 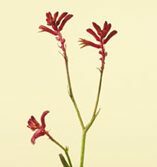 POTTED PLANT in traditional red, or now available in many hybrids. Popular for a holiday gift or for home decor. Care notes: Display in moderate, indirect light. Keep soil moist but not wet. Avoid drafts. An exotic look with a dramatic flair. Care notes: Re-cut stems and refresh water after 5 days. 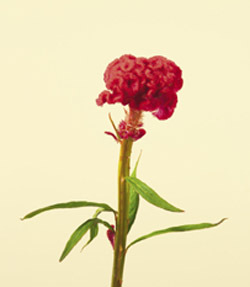 Bloom will gradually dry and retain its shape. A dainty white fringe brings the grace of the Victorian era. Cheerful colours and a full blossoms make these a springtime favorite. Care notes: Use low water levels as succulent stems should not be fully immersed. Display flowers in cool light, away from heat and direct sunlight. 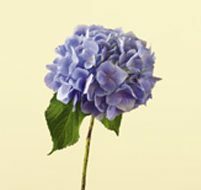 A classic flower with a long tradition. Thousands of varieties now available world-wide. Pretty rose blossoms form a dainty cluster for a Victorian look. 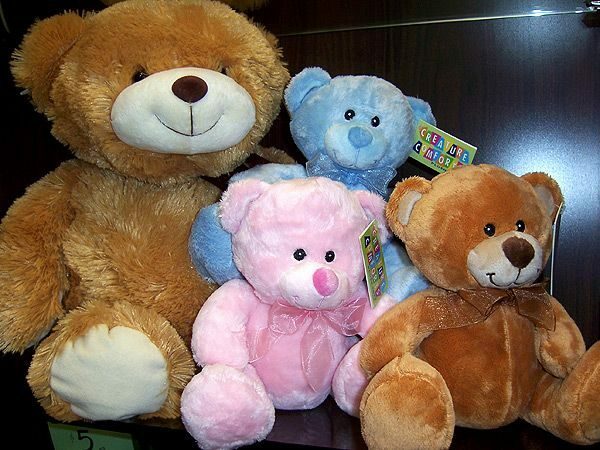 Available in a selection of colours. Add a touch of summer garden with these tall stems. A sunny accent to add fullness, colour, and texture. 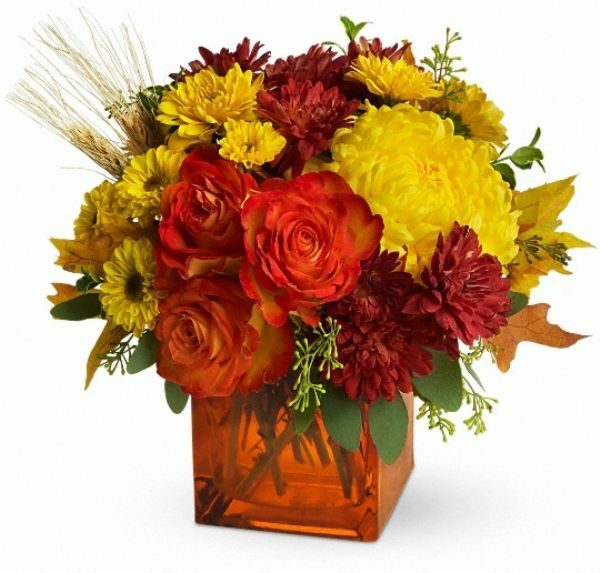 Adds rich colour and texture to any bouquet. Also popular as a dried flower accent. A soft garden blossom with a spicy fragrance. Huge, showy blossoms shout out a summer “hello!”. Mini varieties also available. Springtime fun! Available in a myriad of colours and shapes. Care notes: Use cool water. Display flowers in cool light, away from heat and direct sunlight. A delightful accent of colour and texture.